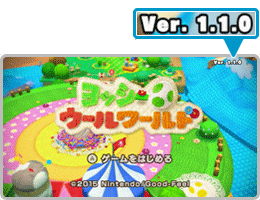 On this page, you will find all there is to know about the Software updates for Yoshi’s Woolly World (released on June 26th in Europe, July 16th in Japan, and October 16th in North America). How to update Yoshi’s Woolly World on Wii U? if not, you can launch Yoshi’s Woolly World from the Home Menu (important: not the Quick Start Menu, as it bypasses update check! ), while being connected to the internet, in order to trigger the download manually. Just wait a few minutes, and the update will be downloaded and installed. To check that you have the latest version installed, simply launch the game: you should see the version number in the top right corner of the screen (in that case: Ver. 1.1.0). 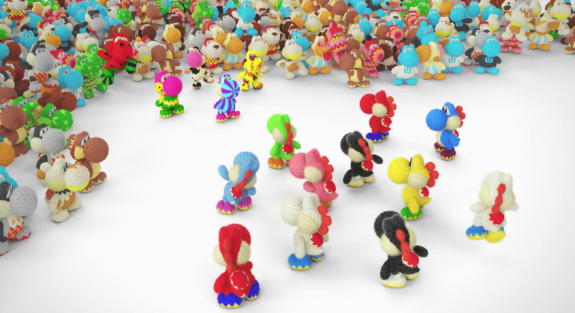 Adds amiibo support for Yarn Poochy. Users can tap their Yarn Poochy amiibo to the Wii U GamePad while in a course to make Poochy appear in game.